The following article is based on a presentation delivered at the American Psychological Association's Annual Convention, August, 1998. It originally appeared in History of Psychology. May, 1999 Vol 2(2), pp. 102-118. A more detailed discussion of Jung and the Kabbalah appears in Kabbalistic Metaphors, Chapter 8, pp. 289-343. In a forthcoming book I will provide a detailed analysis of Jung¹s relationship with National Socialism, and discuss in greater detail what I regard to be Jung¹s teshuvah (penitence) during and after his 1944 heart attack, after which he experienced Kabbalistic visions and saw himself as Rabbi Shimon Bar Yohai. Summary: Jung's use of Kabbalistic symbols and ideas as well as his personal Kabbalistic vision are critically examined. It is argued that as great as Jung's acknowledged affinity is to the Kabbalah, his unacknowledged relationship was even greater. Jung has been accused of being a contemporary Gnostic. However, the interpretations which Jung places on Gnosticism and the texts which Jung refers to on alchemy, were profoundly Kabbalistic, so much so that one would be more justified in calling the Jung of the Mysterium Coniunctionis and other late works, a Kabbalist in contemporary guise. While Jung, at least during 1930s, appears to have had powerful motives which limited his receptivity to Jewish ideas, his highly ambivalent and at times reproachable attitude toward Judaism should not prevent us from appreciating the affinities between Jungian psychology and Jewish mystical thought. In a tract of the Lurianic Kabbalah, the remarkable idea is developed that man is destined to become God's helper in the attempt to restore the vessels which were broken when God thought to create a world. Only a few weeks ago, I came across this impressive doctrine which gives meaning to man's status exalted by the incarnation. I am glad that I can quote at least one voice in favor of my rather involuntary manifesto (Jung, 1973, Vol. 2, p. 157). ....one would have to take a deep plunge into the history of the Jewish mind. This would carry us beyond Jewish Orthodoxy into the subterranean workings of Hasidism...and then into the intricacies of the Kabbalah, which still remains unexplored psychologically (Jung, 1973, Vol. 2, pp. 358-9). Jung then informs Ms. Schroeder that he himself could not perform such a task because he has no knowledge of Hebrew and is not acquainted with all the relevant sources. In point of fact, Jung, in the last decades of his life, had taken a deep interest in the psychological aspects of a number of Kabbalistic symbols and ideas; ideas which he had been exposed to primarily through his reading of 16th and 17th century alchemical texts, and, especially, through the writings of the Christian Kabbalist and alchemist, Christian Knorr Von Rosenroth (1636-89). As a result, Jung's last great work, Mysterium Coniunctionis, completed in his 80th year in 1954, though ostensibly a treatise on alchemy, is filled with discussions of such Kabbalistic symbols as Adam Kadmon (Primordial Man), the Sefirot, and the union of the "Holy One" and his bride. These symbols became important pivots around which Jung constructed his final interpretations of such notions as the archetypes and the collective unconscious, and his theory of the ultimate psychological purpose of humankind. Yet as great as Jung's acknowledged affinity is to the Kabbalah, his unacknowledged relationship was even greater. For every reference to the Kabbalah in Jung's writings there are several to Gnosticism, and perhaps dozens to alchemy: yet the interpretations which Jung places on Gnosticism (itself a close cousin to the Kabbalah), and the very texts which Jung refers to on alchemy, were profoundly Kabbalistic, so much so that one could call the Jung of the Mysterium Coniunctionis and other later works, a Kabbalist (albeit a Christian one) in contemporary guise. Jung has frequently been called a "Gnostic." Interestingly, Jung¹s main accuser in this regard was the Jewish philosopher, Martin Buber, who is well known for, amongst other things, his work on Hasidism. Buber held that Jung was Gnostic because he reduced God to the inner divine spark in humans and identified religious experience with a turning inward into the Self, as opposed to a participation in relations with others as the vehicle for relating to a transcendent God (Buber, 1952; see also Dourley, 1994)). Conversely, the Christian "death of God" theologian, Thomas J. J. Altizer, hailed Jung¹s "Gnosticism" as part of his proof of the death of a transcendent God, which, through Christ, had become completely immanent in humankind (Altizer, 1959, see also Segal, 1992). For reasons which I will detail in this paper, it is my view that Jung is far more Kabbalistic than he is Gnostic, and he is "alchemical" largely to the extent that the alchemists borrowed from and relied upon Kabbalistic ideas. I will also argue that in the 1930s, when Jung was formulating a psychology based on his reading of alchemy, he had a strong motive to suppress the "Jewish" origins of many alchemical ideas. In this essay, I argue that Jung ultimately read Gnosticism in such a manner as to transform a radical anti-cosmic, anti-individualistic doctrine into a world-affirming basis for an individual psychology. Further, I will show that he interpreted alchemy so as to extract its Kabbalistic spiritual and psychological core. Had Jung been sufficiently familiar with the Kabbalists (and Hasidim), his task could have been far easier, for their writings would have provided Jung a psychologically richer and more sympathetic symbolism than either the "other worldly" theories of the Gnostics, or the radically material practice of the alchemists. Indeed, in some instances the Gnostics, the alchemists, and the Kabbalists share the same symbols and images (e.g., the "sparks," "Primordial Man") but in each case the Kabbalistic approach to these symbols is the closest to Jung's own. In short, by providing a "this-worldly" interpretation of Gnosticism, and a spiritual-psychological interpretation of alchemy, Jung arrived at a view which was in many ways Kabbalistic in spirit. Indeed, Jung, in his interpretation of alchemy, succeeded remarkably in extracting the Kabbalistic gold which lay buried in the alchemists¹ texts and methods (to use an alchemical metaphor). His work can then be profitably understood as falling in the tradition of those thinkers such as Pico della Mirandola, Johannnes Reuchlin (1983), and Knorr von Rosenroth who created a distinctively Christian Kabbalah (Scholem, 1974, [pp. 196-201]). Jung can be interpreted as a contemporary Kabbalist, yet one who provides the basis for a radical psychological interpretation of the Kabbalists¹ symbols and ideas. Such an interpretation was not altogether foreign to the Kabbalists themselves, who, on the principle of the microcosm mirroring the macrocosm, held that their own descriptions of cosmic events were also, and equally profoundly, descriptions of the dynamics within men's souls (Idel, 1988, 1995). Indeed, such an interpretation of the Kabbalah provided the major impetus for the doctrines of the Hasidim. Still, Jung took this psychologization process further than either the Kabbalists or Hasidim, living in a pre-psychoanalytic age, could ever hope to do themselves. The Kabbalah, the most developed expression of Jewish mysticism, is a vast subject that today commands its own field of study. Rooted in early Jewish mysticism, and, regarded by many as a Jewish form of Gnosticism (Scholem , 1961/1941, 1960), the Kabbalah achieved its own unique expression in the anonymous Sefer HaBahir, generally regarded as the earliest extant text in this mystical genre (Scholem, 1987/1962). It is in this work that the theory of the ten Sefirot, the value archetypes (Will, Wisdom, Understanding, Kindness, Judgment, Beauty, Glory, Splendor, Foundation and Kingship) which the Kabbalists all held to be the essence of creation, takes distinctive form. The locus classicus, however, for the Sefirot and other Kabbalistic symbols, is the Zohar (Sperling & Simon, 1931-34; Tishby & Lachower, 1989), traditionally attributed to the rabbinic sage Shimon Bar Yohai (with whom, as we shall see, Jung identified himself), but thought by contemporary scholars to have originated in Spain some time in the thirteenth century. The Zohar, which is written as a loose and far-reaching commentary on the Torah (the Five Books of Moses), is the source of much of the "wedding symbolism" (unifications of the various Sefirot) which preoccupied the alchemists studied by Jung. Its homilies on the nature of the unknowable infinite, the masculine and the feminine, and the relationship between good and evil can provide much of interest to analytic and archetypal psychologists. Jung himself quoted a number of Zoharic passages, and appears to have been acquainted with both a German and English translation of portions of this book. It is, however, the radical reformulation of the Kabbalah, initiated by Isaac Luria (1534-1572 ) and recorded by his disciples, notably Chayyim Vital (1542-1620), which is of the greatest interest from a Jungian perspective. Luria's ideas were little known outside orthodox Jewish circles, however, until Gershom Scholem brought them to the attention of the intellectual world in the 1930s and 40s (Scholem, 1961/1941). The Lurianic Kabbalah is of interest in part because of its systematic and dynamic treatment of many of the symbols and conceptions of the earlier Kabbalah (see Elior, 1993, Jacobs, 1987, Schochet, 1981 and Scholem 1973, 1974). Jung does not appear to have had any in-depth knowledge of the original texts of the Kabbalah. While Mysterium Coniunctionis includes citations to the Sperling and Simon English translation of the Zohar (first published in 1931-4) as well as to a German translation of the Zohar by Ernst Mueller (Jung, 1963, pp. 634, 47), the majority of Jung's specific citations to Kabbalistic symbols and ideas are to the writings of Knorr Von Rosenroth, whose Kabbalah Denudata, published in 1684 is a Latin translation of passages from the Zohar, other Kabbalistic writings, and essays on the meaning of the Kabbalah (Scholem, 1974). Knorr¹s work was the most important non-Hebrew reference on the Kabbalah up until the close of the 19th century and was the major source on the Kabbalah for non-Jewish scholars at least up to that time. Knorr, writing after the advent and dissemination of the Lurianic Kabbalah, includes (amongst many other things) Latin translations of portions of the Zohar, Cordovero¹s Pardes Rimmonim, a detailed explanation of the Kabbalistic tree after Luria, and even some of the writings of Luria himself. Jung had "visions" inspired by the symbolism of the Kabbalist Moses Cordovero (Jung, 1961. Pp. 293-5), and Cordovero's Pardes Rimonim is cited in the bibliography of Mysterium Coniunctionis, but the only actual reference is in a single footnote, and this is cited through Knorr (Jung, 1963, p. 22). While Jung was clearly aware of the writings of Gershom Scholem, he appears not to have read them closely prior to 1954. Otherwise he would have undoubtedly been familiar with certain doctrines of the Lurianic Kabbalah such as the breaking of the vessels and tikkun prior to the date he acknowledges in his letter to Evans in February of that year. Jung carried on a correspondence with a number of students who had first-hand knowledge of Kabbalistic texts and even acknowledges to R. J. Zwi Werblosky that he received a copy of the Kabbalist R. Gikatila¹s text on dreams (Jung, 1973, Vol. 2, p. 122), but the overwhelming evidence in both the Mysterium and the Letters is that Jung derived his working knowledge of the Kabbalah from Knorr Von Rosenroth, references to the Kabbalah in the writings of such alchemists as Dorn, and an occasional perusal of the French and German literature on the Kabbalah extant before the field was thoroughly transformed by Scholem. Jung's limited familiarity with Kabbalistic texts and ideas in no way prevented him from commenting profoundly and in some detail on certain Kabbalistic symbols, such as the Sefirot, of which he was aware. The major Kabbalistic ideas which concerned Jung were those that had clear parallel formations in Gnosticism and alchemy: the notion of a spark of divine light contained within humanity, the concept of Primordial Adam who contains within himself in coincidentia oppositorum the various conflicting tendencies within the human spirit, the theory of divine unifications, particularly the unifications of good and evil and masculine and feminine. In spite of an occasional reference to Luria, absent from any detailed consideration in Jung's major works are the symbols of Tzimtzum (Divine Contraction), Shevirah (the "Breaking of the Vessels", Tikkun Haolam (the "Restoration of the World) which are unique to the Lurianic Kabbalah. It is true, however, that just as these Lurianic concepts were implicit in the Kabbalah that preceded Luria (e.g., the Zohar), they are, as we will see, also implicit in the alchemical writings which borrowed so heavily from the earlier Kabbalah. Had Jung considered these symbols prior to 1954, they would have been of invaluable service to him, not only in his attempt to grasp the spiritual and psychological nature of alchemy, but also in the expression of his own psychology of the self. Psychology, specifically Jungian psychology, is in a position to provide individuals with a direct awareness of the archetypes within their own psyches. This, Jung believes, can be accomplished through an interpretation of the spontaneous symbolic projections of the unconscious in fantasy, art, and dreams, guided by a new psychological understanding of the basic archetypal images which have presented themselves in the history of myth and religion. Jung turns to this history for a catalogue or map of the contents of the collective unconscious and he interprets his patients¹ (archetypal) dreams and images accordingly. His interest in the "dead" religion of Gnosticism, as well as in the forgotten science of alchemy, lies in the fact that their symbols presumably contain a more or less pristine crystallization of the collective unconscious, undisturbed by the ego oriented reinterpretations of reason and dogma. Indeed the long incognizance of the Kabbalah in official Judaism suggests that it too preserves elements of the collective unconscious in a relatively pure form. Jung's interpretation of Gnosticism is critical to his understanding of the Kabbalah. This is not only because many of the major Kabbalistic themes are anticipated in the Gnostic sources with which Jung was familiar, but because Jung¹s general approach to both alchemy and the Kabbalah was shaped by his interpretation of the Gnostics. The identity of Gnosticism is itself open to considerable debate (see Filoramo, 1990; Robinson, 1988; Rudolph, 1987; on the Jewish origin of Gnosticism see Scholem, 1946, 1960; and Wilson, 1975). Traditionally Gnosticism was viewed as a Christian heresy which developed along-side the early Catholic Church in the second and third centuries. The discovery in 1945 of a library of Gnostic texts at Nag Hammadi along the Nile River in Egypt, and their eventual publication, has led to a view of Gnosticism as a multifaceted religious phenomenon independent of Christianity. The origins of Gnosticism are far from clear. Some scholars, notably Quispel (Jonas, 1965), have hypothesized a Jewish origin to this syncretistic religious phenomenon. Other scholars have looked to the Qumran texts of the Dead Sea Scrolls and other apocryphal texts of Judaism, e.g., The Book of Wisdom and The Book of Enoch, which date from just before and during the advent of the Christian era, for the origins of the Gnostic quest for ontological knowledge and personal illumination (Filoramo, 1990). Jung's comments on Gnosticism are scattered throughout his writings (See Segal, 1992), but his major statement on the subject is contained in his essay "Gnostic symbols of the self" (Jung, 1969). However, long before he had systematically considered Gnosticism from the point of view of his own analytical psychology, Jung had been familiar with Gnostic theology and even constructed, in 1916, his own "Gnostic Myth" which he had circulated privately amongst friends but which, at his own request, was excluded from his collected works (but published in Segal, 1992). In this myth, entitled "Septem Sermones ad Mortuos" (Seven Sermons to the Dead) Jung registers a number of "Gnostic" themes to which he was to return many times in his later writings . Amongst these themes, perhaps the most significant and pervasive is a concern with the coincidence of opposites and the unification of antinomies. "Harken", Jung writes, "I begin with nothingness. Nothingness is the same as fullness. In infinity full is no better than empty. Nothingness is both empty and full" (Segal, 1992, p. 181). The "pleroma" (or fullness of being which for the Gnostics is the equivalent of the Kabbalistic Ein-Sof, the infinite) is characterized, Jung tells us, by "pairs of opposites", such as "living and dead", "Good and Evil", "Beauty and Ugliness", "the one and the many". These opposites are equal and hence void in the pleroma but are "distinct and separate" in the human mind. A variety of other typically Gnostic themes make their appearance in "The Seven Sermons". Amongst these are the doctrine that humans, as finite creatures, are characterized by "distinctiveness," and the natural striving of humankind is towards distinctiveness and individuation. However, this battle against sameness and consequent death is ultimately futile because our pursuit of various distinctions inevitably leads us to seize each of their opposites. In pursuing good and beauty we necessarily lay hold of evil and ugliness as well. Hence, humans should not strive after difference, which is at any rate, illusory, but rather after their own Being, which leads them to an existential (rather than an epistemological) awareness of the pleromatic "star" which is humanity¹s ultimate essence and goal (Segal, 1992). Years later, when Jung comes to take a second look at Gnosticism through the eyes of a more fully developed archetypal psychology, he reverses himself and interprets it in a manner which is far more friendly to the world and the individual, and, as I will argue, far more Kabbalistic than Gnostic. Jung eventually interpreted the Gnostic myths, including the origin of the cosmos in the Pleroma, the emergence of an ignorant God or demiurge, the creation of a Primordial Man, and the placing of a spark of divinity within individual persons, in completely psychological terms. The Gnostic myths do not, according to Jung, refer to cosmic or even external human events, but rather reflect the basic archetypal developments of the human psyche. Jung regards the pleroma, within which is contained the undifferentiated unity of all opposites and contradictions, as nothing but the primal unconscious from which the human personality will emerge. The "demiurge", whom the Gnostics disparaged as being ignorant of its pleromatic origins, represents the conscious, rational ego, which in its arrogance believes that it too is both the creator and master of the human personality. The spark, or scintilla, which is placed in the human soul, represents the possibility of the psyche's reunification with the unconscious, and the primal anthropos (Adam Kadmon or Christ), which is related to this spark, is symbolic of the "Self", the achieved unification of a conscious, individuated personality with the full range of oppositions and archetypes in the unconscious mind. "Our aim," Jung tells us, "is to create a wider personality whose centre of gravity does not necessarily coincide with the ego," but rather "in the hypothetical point between conscious and unconscious" (Jung, 1929/1968, p. 45). Jung sees in the Gnostic (and Kabbalistic) symbol of Primordial Man a symbol of the goal of his own analytical psychology. Jung provides a similar if more daring and far reaching interpretation of alchemy. According to Jung, what the alchemist sees in matter, and understands in his formulas for the transmutation of metals and the derivation of the prima materia, "is chiefly the data of his own unconscious which he is projecting into it" (Jung, 1937/1968, p. 228). For example, the alchemist¹s efforts to bring about a union of opposites in the laboratory and to perform what is spoken of as a "chymical wedding" are understood by Jung as attempts to forge a unity, e.g., between masculine and feminine, or good and evil aspects of the psyche (Jung, 1937/1968). "The alchemical opus", Jung tells us, "deals in the main not just with chemical experiments as such, but with something resembling psychic processes expressed in pseudochemical language" (Jung, 1932/1968, p. 242). I n his Mysterium Coniunctionis Jung (1955-6/1963) provides a catalog of alchemical symbols which are rich in spiritual and psychological significance. Many of the most significant of these symbols, including the notions of Adam Kadmon, the divine spark in humanity, the union of the cosmic King and Queen, and the divine nature of evil (each of which Jung regarded as foundational for his later psychology) were imported into alchemy from the Kabbalah. Jung himself was aware of the strong relationship between the Kabbalah and late alchemy, and frequently spoke of specific Kabbalistic influences on the alchemists of the 16th century and later. "Directly or indirectly", Jung (1955-6/1963)writes in the Mysterium, "the Cabala was assimilated into alchemy. Relationships must have existed between them at a very early date, though it is difficult to trace them in the sources" (p. 24; cf. p. 384). Jung points out that by the end of the 16th century the alchemists began making direct quotations from the Zohar. For example, he provides a quotation from Blasius Vigenerus (1523-96) comparing the feminine sefirah Malchut with the moon turning its face from the intelligible things of heaven (Jung, 1955-6/1963, p. 24). He points to a number of alchemists, including Khunrath and Dorn who made extensive use of the Kabbalistic notion of Adam Kadmon as early as the 16th century, and informs us that works by Reuchlin (De Arte Kabalistica, 1517) and Mirandola had made the Kabbalah accessible to non-Jews at that time (Jung, 1955-6/1963, see also Reuchlin, 1983). Both Vigenerus and Knorr Von Rosenroth, Jung informs us, attempted to relate the alchemical notion of the lapis or philosopher¹s stone to passages in the Zohar which interpret biblical verses (Job 38:6, Isaiah, 28:16, Genesis 28:22) as making reference to a stone with essential, divine and transformative powers (Jung, 1955-6/1963). He also notes that Paracelsus had introduced the sapphire as an "arcanum" into alchemy from the Kabbalah. 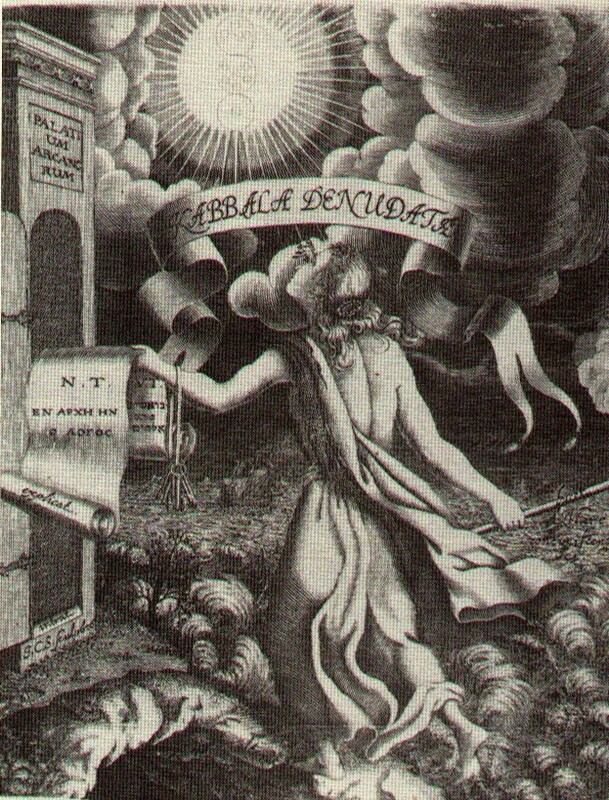 Two of the alchemists most frequently quoted by Jung (Knorr and Khunrath) wrote treatises on the Kabbalah, and others such as Dorn and Lully were heavily influenced by Kabbalistic ideas. These authors included a notion of the "sparks", which was to become a key element in the Lurianic Kabbalah, and gave it a Kabalistic (as opposed to Gnostic) interpretation in their work. While Jung clearly recognizes the relationship between Kabbalah and alchemy, he only provides us with part of the story. The spiritual aspects of alchemy, which interested Jung, were to a very large extent Jewish in origin. Even Jung¹s own view of alchemy appears to have its origins in Jewish sources. Maria the Prophetess, the Egyptian Hellenistic Jewess who is regarded by Zosimos (3d century) to be the founder of alchemy (and by modern scholarship to be amongst its earliest practitioners), viewed the alchemical work as fundamentally a process through which the adept attains spiritual perfection (Patai, 1994). Maria regarded the various metals in the alchemical work to be analogous to aspects of humanity, hence her famous maxim "Join the male and the female and you will find what is sought" (Patai, 1994, p. 66), an aphorism which could well serve as a motto for much of Jung¹s own interpretation of alchemy. Space limitations prevent me from providing anything like a full survey of the Kabbalistic sources of the spiritual side of alchemy. The interested reader is referred to works by Suler (1972), and Patai (1994). Jung brought the same interpretive posture to the Kabbalah that he had brought to Gnosticism and alchemy. Only his approach to the Kabbalistic tradition was far less systematic and his views on this tradition must occasionally be pieced together from his discussions of parallel Gnostic and alchemical ideas. Amongst the Kabbalistic notions which were of significance to Jung (or are significant from a Jungian perspective) are Ein-Sof (the Infinite), Tzimtzum (Divine contraction), Adam Kadmon (Primordial Man), Shevirat ha-Kelim (The Breaking of the Vessels), Kellipot (Shells or Husks), the separation of the King and Queen, Tikkun Haolom (The Restoration of the World), and Partzufim (Visages). I will discuss each of these in turn. (1) Ein-sof (the Infinite) is the limitless, unknowable, procreative source of all being, which is the union of everything and its opposite. Jung had interpreted the Gnostics¹ pleroma, a conception of the divine that is essentially equivalent to the Kabbalist¹s Ein-sof, as the infinite, unknowable depths of the collective unconscious. For Jung (1955-6/1963), Ein-sof, like the pleroma, is the chaotic unknown which unites within itself all contrasts and oppositions and which humanity returns to time and again as the wellspring of creativity and desire. (2) Tzimtzum (Divine contraction) is, according to the Lurianists, the concealment, negation and withdrawal of God¹s presence which "makes room" for the world. The Lurianists invoked this symbol as a vehicle of transition from an infinite God to the finite world. Accordingly, the original act of creation was a negation in which the Infinite contracts and conceals itself from itself in order to bring about a finite realm. Jung makes no mention of Tzimtzum. However, this notion of self "contraction" and "concealment" can readily be understood psychologically as an archetypal limitation or repression which separates the ego from the unconscious. (3) Adam Kadmon (Primordial Man) embodies the ten value archetypes (Sefirot) through which the world was created. Jung reflected in detail on this Kabbalistic notion, noting that a cosmic primordial man is a symbol which appears in many of the world¹s myths of creation. For Jung, Adam Kadmon is a symbol of the "Self" (Jung, 1955-6/1963, p. 50), as it unites within itself the full range of values (the Sefirot) through which both the world and humankind were created. It is important to note that, for the Kabbalists, Adam Kadmon is in a constant state of transformation and renewal, and only fully becomes himself subsequent to the "Breaking of the Vessels" and their reconstruction in Tikkun. It is thus no wonder that Jung equated Adam Kadmon with the alchemists¹ Mercurius (Jung, 1955-6/1963, pp. 10, 394; Jung, 1937/1968, p. 319), and regarded Adam Kadmon as an important symbol of psychological transformation (Jung, 1955-6/1963, p. 429). (4) Shevirat ha-Kelim, (The Breaking of the vessels) is an archetypal event in which the value archetypes were shattered and distributed throughout the cosmos as "sparks". Jung, as we have seen, was fascinated by the Kabbalistic symbols of the Breaking of the Vessels and Tikkun (the vessels "Repair") when he chanced upon these ideas in 1954. For him, they represented the role that humankind must play in the restoration of the world, the redemption of evil, and the restoration of the Self. However, even prior to that time Jung had encountered these notions in their alchemical guises, as the chaos and destruction which must precede the alchemical work, and which Jung understood as prerequisites for the forging of a unified Self. Mark this! As Job kept evil separate from good and failed to fuse them, he was judged accordingly; first he experienced good, then what was evil, then again good. For man should be cognizant of both good and evil, and turn evil itself into good. This is a deep tenet to faith.¹ (Sperling & Simon, 1931-34, Vol. 3, p. 109). (6) The separation of the "King" and "Queen" was understood by the Kabbalists to symbolize a split between the masculine and feminine elements of the deity, which itself reflects the disorder and chaos of a broken world. For the Kabbalists, the disharmony of the world is reflected in a separation between male and female, and the world¹s restoration and repair is symbolized by a wedding between Tifereth and Malchuth, the masculine and feminine Sefirot, known in the Kabbalah as the Holy One and his Bride. Jung, of course, interpreted these ideas psychologically, and saw them as symbols of the union between animus and anima which in the individual psyche is a pre-requisite for individuation and psychological growth. Jung explored the Kabbalistic symbols of the divine marriage extensively (Jung, 1955-6/1963, pp. 23, 24, 396, 432-445, esp. 442; Jung, 1973, Vol. 1, p. 356, Vol. 2, p. 292) and, as we shall see, himself had dreams and visions which incorporated these Jewish ideas. (7) Tikkun Haolam (the Restoration of the World) is the process through which humanity repairs the world in the service of a "second creation. According to the Lurianists, one result of the Breaking of the Vessels is the depositing of a hidden divine spark in the soul of each individual, and in the Kabbalistic (but not Gnostic) view, in the heart of all earthly things. For the Kabbalists, the purpose of Tikkun, the Restoration of the World, is for individuals to "raise" and redeem the sparks within both themselves and the world, in order that both humankind and the world can actualize their fullest, divine potential. Jung considered the theory of the "sparks" or "scintillae" as they appeared in Gnosticism, Kabbalah (Jung, 1955-6/1963, p. 301, n26) and alchemy and concluded that they represented an element of the primordial, archetypal unconscious in man (Jung, 1955-6/1963, p. 491). Unfortunately, he was apparently unaware of the development of the "sparks" symbol in later Kabbalah and Hasidism, where, in contrast to the Gnostic understanding of the sparks as a vehicle for escape from the world and self (Jung, 1955-6/1963, p. 48, and p. 48, n55), they are understood as an opportunity for the development of the person and the spiritualization of the world. For the Hasidim, each individual is placed on earth because there are sparks both within his/her own soul and the world that only that individual can redeem. In raising the sparks, male and female are reunited and creation is completed and perfected. (8) the Partzufim (Visages) are, understood by the Lurianists to be a plurality of archetypal personas through which the Primordial Man must evolve in the process of Tikkun. For Jung, the notion of the raising of the sparks and the entire process of Tikkun would have been ideal symbols for individuation. That the process of Tikkun gives rise to, and causes the Primordial Man to embody, archetypal personalities (the Holy Ancient One, the Father, the Mother, the Impulsive Male, and the Female) each of which has a role in Tikkun, and which clearly anticipate Jung¹s major archetypes is further proof of the fit between the Lurianic Kabbalah and the Jungian "Self." Regardless of the direction of influence it is clear that nearly all of the basic symbols and ideas of Gnosticism are to be found in one form or another in the Kabbalah and vice versa. The notion of an unknowable infinite godhead which contains within itself a coincidence of metaphysical opposites, the gradual manifestation of the Infinite through an emanation of logoi or Sefirot, the notion of a cosmic accident giving birth to the manifest world, the distinction between the God of the Bible and the true Infinite, the estrangement of humankind from its true essence, and the entrapment of a divine spark within the individual¹s material nature, are all themes which found their way into both Gnosticism and the Kabbalah. Yet for all the similarities between Gnostic and Kabbalistic doctrine, certain essential differences emerge which are of ultimate significance for Jungian psychology. The major difference is that Gnosticism has no equivalent concept or symbol for the Kabbalistic notion of Tikkun ha-Olam, the restoration of the world. As we have seen, for the Gnostics (as well as for Jung in the Septem Sermones), the goal of spiritual life is not a restoration, but an escape from what they regard to be this worthless, evil world. The Gnostic identifies with the divine spark within the self in order to transcend the physical self and the material world. The Kabbalist holdsa radically different view. Although there are also escapist or "Gnostic" trends within the Kabbalah, the majority of Kabbalists held that the realization of the divine spark both in the person and the material world, brings about an elevation, restoration and spiritualization of the individual and the environment. In Gnosticism the world is escaped, in the Kabbalah it is elevated and restored. The latter view is one that is much more congenial to Jungian psychology, not only on the obvious principle that for Jung life in this world, and the world itself, is worthwhile, but also with respect to the (less obvious) psychological interpretation which Jung places on the Gnostic myths. As Segal (1972) has pointed out, the Gnostic ethic, as interpreted by Jung, would, strictly speaking, lead to a complete identification of the subject with the unconscious mind. This is because the Gnostic attempts to escape from the world (which Jung equates with the ego) into a complete identification with the infinite pleroma which, as we have seen, Jung identifies with the collective unconscious. By way of contrast, for the Kabbalists and Jung (and the alchemists as interpreted by Jung) the godhead creates the world and humankind in order to fully realize itself. By analogy the unconscious mind manifests itself in a conscious, reflective ego in order to complete and know itself as a "Self." "The difference" Jung writes, "between the natural individuation process, which runs its course unconsciously, and the one which is consciously realized is tremendous: in the first case consciousness nowhere intervenes; the end remains as dark as the beginning" (Jung, 1952/1969). For Jung and the alchemists, the world, and its psychological equivalent, the ego, far from being the superfluous, harmful and lamentable conditions envisioned by the Gnostics, are actually necessary, beneficial and laudable (Segal, 1992). Both God and humankind must pass through the world and redeem it in order to realize their full essence. This is precisely the view of the Kabbalists, as expressed in their symbol of tikkun haolam. Gnosticism actually advocates the precise opposite of Jungian Psychology (Segal, 1992). Interestingly, the alchemists are far more compatible with Jung (and the Kabbalah) on this crucial point than are the Gnostics. The raison d¹être of alchemy is the transformation of worldly matter (Segal, 1992) not the escape from it. For Gnosticism, the dissolution of the world is an end in itself, for the alchemists it is a precondition for a new creation, just as in the Kabbalah the Shevirat ha-Kelim, the breaking the vessels and destruction of earlier worlds, sets the stage for the world¹s redemption in tikkun haolam. The Jew has the advantage of having long since anticipated the development of consciousness in his own spiritual history. By this I mean the Lurianic stage of the Kabbalah, the breaking of the vessels and man's help in restoring them. Here the thought emerges for the first time that man must help God to repair the damage wrought by creation. For the first time man's cosmic responsibility is acknowledged (Jung, 1973, Vol. 2, p. 155). For Jung, in contrast to the Gnostics, man is not enjoined to escape the world (and his conscious life within it) but is rather responsible for its repair and restoration. It is this notion of "world-restoration", what the Kabbalist¹s referred to as tikkun haolom, which most connects Jung to the Jewish mystical tradition, and which clearly distinguishes him from Gnosticism. Jung relates that the vision changed and there followed "the Marriage of the Lamb" in Jerusalem, with angels and light. "I myself", he tells us "was the marriage of the lamb". In a final image Jung finds himself in a classical amphitheater situated in a landscape of a verdant chain of hills. "Men and woman dancers came on-stage, and upon a flower-decked couch All-father Zeus consummated the mystic marriage, as it is described in the Iliad" (p. 294). As a result of these experiences, Jung developed the impression that this life is but a "segment of existence". During the visions, past, present and future fused into one. According to Jung, "the visions and experiences were utterly real; there was nothing subjective about them" (p. 295). It is remarkable that Jung, in what he describes as the most tremendous and "individuating" experience of his life, should find himself in the "garden of pomegranates," an allusion to a Kabbalistic work of that name by Moses Cordovero, and should identify himself with the coniunctio of Tifereth and Malchuth as it is described in the Kabbalah. In this vision, which can only be described as "Kabbalistic," Jung further identifies himself with Rabbi Simon ben Yochai, who in Jewish tradition is regarded as the author of the Zohar. Here, on the brink of death, Jung has a mystical experience in which the truth of the Kabbalistic wedding is equated with the truth of the hierosgamos, the divine wedding in Greek mythology. The sexual union of male and female is mystically experienced as the source of both immortality and personal individuation and redemption. Jung tells us that such experience involves an "objective cognition" in which all emotional ties, "relationships of desire, tainted by coercion and constraint" are transcended in favor of a real coniunctio, a relationship with oneself, others and the world which is beyond, yet also behind, desire. Only after this Kabbalistic experience was Jung able to compose the Mysterium Cioniunctionis and other major works of his final years (Jung, 1961). Given Jung¹s familiarity with Kabbalistic ideas and symbols, the profoundly psychological nature of the Kabbalah, and Jung¹s own Kabbalistic visions we might ask why he never developed the sustained inquiry into the Kabbalah as he did with regard to Gnosticism and, especially, alchemy. There are several reasons for this. In the first place, as Jung himself notes, he did not know Hebrew and was unfamiliar with the relevant sources, most of which in his day had neither been translated nor even summarized into languages with which Jung was familiar. More significantly, in spite of Jung¹s protestations that he was neither metaphysician nor theologian, his major concern in his later works was a psychological revivification of Christianity through a study of its undercurrents, Gnosticism and Alchemy, which he understood as the compensatory "shadow" to official religion. While Jung held that the Kabbalah played a similar role vis-a¹-vis orthodox Judaism, as a Christian this was of peripheral interest to him. True, there was a Christian Kabbalah (of which Knorr was an example), but for Jung, the Kabbalah was essentially Jewish in origin and import. Finally, and perhaps most significantly, Jung maintained a strong ambivalence towards Jews and Judaism, which, at least during a critical point in his career, may have compromised his receptivity to Jewish ideas. As is well known, Jung was originally placed by Freud in the unenviable position of playing guarantor that psychoanalysis would not be looked upon as a "Jewish national affair." According to Jung, after the two parted ways, Freud accused him of anti-semitism because Jung could not abide with Freud¹s "soulless materialism" (Jung, 1973, Vol. 1, p. 162). The relationship with Freud appears to have colored Jung¹s view of Judaism, as Jung¹s later identification of psychoanalysis as a Jewish psychology inapplicable to Europeans appears to have in part been fueled by his competitiveness with and personal animosity against Freud (McClynn, 1996; see Jung, 1934/1970). Although the controversy regarding Jung¹s personal and professional stance with regard to the Nazis during the 1930s is beyond the scope of this discussion (see Jaffe, 1971 and McClynn, 1996), it is important to recall that during this period Jung expressed certain negative views about "Jewish psychology." In the 1930s, during the rise of Nazi anti-semitism, Jung chose to highlight what in his view were the differences between Jewish and German psychology (C.G. Jung, 1934/1970). His statements were understood by many to be anti-semitic and as playing directly into the hands of those who would view Jews as a threat to, or parasites upon, Germany and other European states. It was during the period of Jung¹s early, and perhaps greatest, involvement with alchemy that he chose to distance the Western/Christian psyche from Judaism. In 1935 Jung wrote to Neumann (who had written to Jung about Judaism) "analytical psychology has its roots in the Christian middle ages, and ultimately in Greek philosophy, with the connecting link being alchemy" (Jung, 1973, Vol. 1, p. 206). Given Jung¹s need in the 1930s to distinguish his Christian/Western psychology from the Jewish psychology of Freud, one wonders whether Jung underemphasized the huge impact of Judaism (via the Kabbalah) on alchemy, and thereby upon his own thinking. It is not until after the war that Jung begins to make numerous references to the Kabbalah. His report, in the letter to Evans quoted above, to the effect that he only came across the major doctrines of the Lurianic Kabbalah in 1954 is surprising given his long contact with Gershom Scholem at the Eranos conferences and the fact that Scholem¹s popular writings on this subject had already appeared in the 1930s. I do not know for a fact that Jung suppressed the Jewish mystical origins of some of his ideas. However, given his polemic against Freud, his characterizations of the Jewish psyche, his desire to distinguish his psychology from "Jewish psychology", and the situation in Europe during the 1930s, he had a powerful motive for doing so. If indeed Jung had consciously or unconsciously suppressed the Jewish mystical sources of some of his ideas, his Kabbalistic visions during his apparently mortal illness in 1944 can be understood (in Jungian terms) as a powerful compensation for that suppression, or more generally, as an atonement for his anti-Jewish writings and sentiments. It is important to note that Jung¹s attitude toward Judaism, even in the 1930s, was by no means always pejorative. During that period Jung steadfastly defended himself against any accusations of anti-semitism and worked to prevent Jewish psychotherapists from being pushed out of their profession. He defended his right to point out the unique features of Jewish psychology, as he had done, for example, with respect to the Indians and Chinese, and insisted that his views on Jewish psychology long antedated the rise of National Socialism in Germany (Jung 1934/1970), though he seemed to forget his earlier (1928) view that on the deepest psychological level it is "impossible to distinguish between an Aryan, Semitic, Hamitic or Mongolian mentality, [as] all human races have a common collective psyche" (Jung, 1928/1966, p. 149, n. 8). Even in his 1934 paper, Jung (1934/1970) held that the Jewish mind had a greater consciousness and was more differentiated than the Aryan, and, in a letter to Roback, held that Jews have an extension into their own subconscious which is rare amongst non-Jews, (Jung, 1973, Vol. 1, p. 224). Further, Jung cogently observed that in spite of the fact that the so-called "cultivated Jew" is always on the way to becoming a "non-Jew" (Jung, 1973, Vol. 1, p 206), that No one who is a Jew can become a human being without knowing that he is a Jew, since this is the basis from which he can reach out towards a higher humanity." (p. 162). While it is clear that Jung regretted even the appearance of having flirted with National Socialism (Jaffe, 1971; McClynn, 1996) he never, as far as I can tell, provided a full and satisfactory accounting of his earlier views on Jewish psychology. His disciple and confidant, Aniela Jaffe (1971), later wrote that Jung¹s early statements about the Jewish mind "spring from a lack of comprehension of Judaism and Jewish culture which is scarcely intelligible today". In a letter to Jaffe, Gershom Scholem relates that after the war Jung was confronted by the Jewish scholar Leo Baeck on these matters, and the two ultimately made peace after Jung¹s confession that he had "slipped up." This, Scholem relates, was sufficient for both Baeck and Scholem to, in effect, forgive Jung and continue their relationship. I am deeply troubled by Jung¹s apparent duplicity and opportunism with respect to what he himself termed the "Jewish question." However, none of the above considerations should, in my opinion, prevent us from either appreciating the affinities between the Kabbalah and the position Jung eventually arrived at, nor in noting the influence of Kabbalistic ideas both directly and indirectly (through alchemy) on Jungian psychology. Nor should these considerations prevent us from embarking on the fascinating task of examining the vast Kabbalistic literature which has come to light in the past 60 years from a Jungian perspective, and thereby enriching our understanding of both the Kabbalah and our own psyche. As I have attempted to show, Jung¹s relationship to the Kabbalah is multi textured, if somewhat unsettling. The story of Jung and Jewish mysticism is one, I believe, that is only beginning to be told and understood. Altizer, T. J. (1959). Science and Gnosis in Jung¹s psychology. Centennial Review 3: 304. Buber, M. (1952). Eclipse of God (M. Friedman, et. al. Trans.) New York: Harper & Row. Dourley, J. P. (1994). In the shadow of the monotheisms: Jung¹s Conversations with Buber and White. In J. Ryce-Menuhin (Ed. ), Jung and the Monotheisms (pp. 125-148). London: Routledge. Elior, R. (1993). The paradoxical ascent to God: The Kabbalistic theosophy of Habad Hasidism. Translated by J. M. Green. Albany: State University of New York Press. Filoramo, G. (1990). A history of Gnosticism. Trans. by Anthony Alcock. Cambridge: Basil Blackwell. Idel, M. (1988). Kabbalah: new perspectives. New Haven: Yale University Press. Idel, M. (1995) Psychologization of theosophy in Kabbalah and Hasidism. In Hasidism, between ecstasy and magic (pp. 227-238). Albany: State University of New York Press. Jacobs, L. (1987). The Uplifting of the sparks in later Jewish mysticism. In A Green (Ed. ), Jewish spirituality: from the sixteenth-century revival to the present (pp. 99-126). New York: Crossroad. Jaffe, A. (1971). C.G. Jung¹s National Socialism. In Jaffe, A. From the life and work of C. G. Jung. Trans, by R.F.C. Hull. New York: Harper. Jung, C. G. (1961) Memories, Dreams, Reflections, recorded and edited by Aniela Jaffe. New York: Random House. C. G. Jung. (1963/1955-6) Mysterium Coniunctionis. C.G. Jung Collected Works, Vol. 14, Translated by R.F.C. Hull. Princeton NJ: Princeton University Press. Originally published 1955-6. Jung, C. G. (1966/1928). The Relations Between the Ego and the Unconscious. C.G. Jung Collected Works, Vol. 7. Translated by R.F.C. Hull. Princeton NJ: Princeton University Press. Originally published 1928. Jung, C. G. (1968/1944). Psychology And Alchemy. Jung Collected Works, Vol. 12. Translated by R.F.C. Hull. Princeton NJ: Princeton University Press. Originally published 1944. Jung, C.G. (1968/1937). Religious Ideas in alchemy. Psychology And Alchemy, Collected Works, Volume 12, Princeton NJ: Princeton University Press, 1968. Originally published 1937. Jung, C. G. (1968/1929) Commentary on "The Secret of the Golden Flower", in Alchemical Studies, Collected Works, Vol. 13, pp. 1-56. Princeton NJ: Princeton University Press Originally published 1929. Jung, C.G. (1969/1952) Answer to Job, in Psychology and Religion; West and East, Collected Works Vol. 11. Originally published 1952. Jung, C. G. (1969/1951). Gnostic Symbols of the Self, in Aion: Researches Into the Phenomenology of the Self, Princeton: Princeton University Press. Collected Works, Vol. 9, pp. 184-221. Originally published 1951. Jung, C. G. (1970/1934). The State of Psychotherapy Today. In Civilization In Transition, Collected Works, Vol. 10. Translated by R.F.C. Hull. Princeton NJ: Princeton University Press. Originally published 1934. Jung, C.G. (1973). Letters, Volumes I and II. ed. by Gerhard Adler, Aniella Jaffe and R.F.S. Hull. Princeton, NJ: Princeton University Press. McLynn, F. (1996). Carl Gustav Jung. New York: St. Martin¹s Press. Patai, R. (1994). The Jewish alchemists. Princeton, NJ: Princeton University Press. Reuchlin, J. (1983). 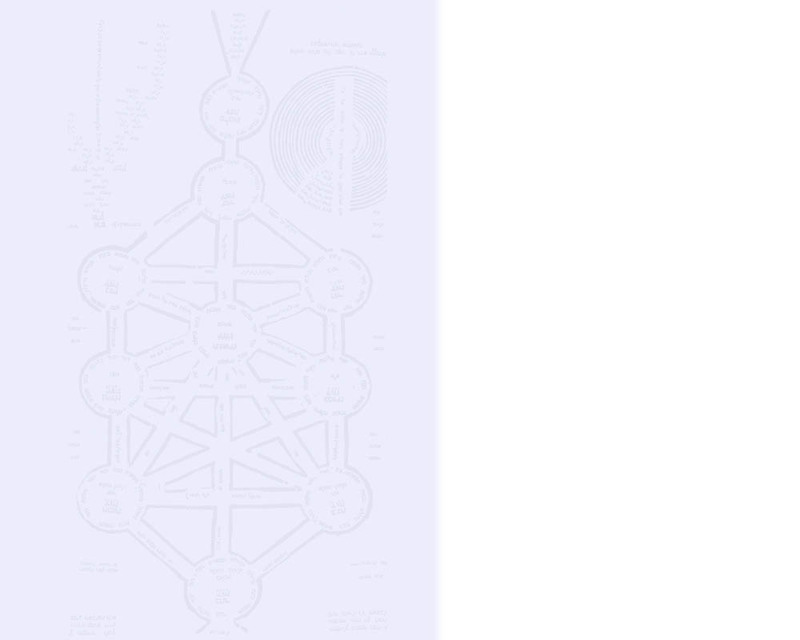 On the Art of the Kabbalah (De Arte Cabalistica). Trans. by M. and S. Goodman (Lincoln: University of Nebraska Press. Robinson, J. M. (Ed.) (1988). The Nag Hammadi Library (3rd ed.). San Francisco: Harper & Row. Rudolph, K. (1987). Gnosis: The nature and history of Gnosticism. (R. M. Wilson Trans.) San Francisco: Harper. Original work published in German in 1977, revised and expanded, 1980. Schochet, J. (1981). Mystical Concepts in Chassidism in S. Zalman, Likutei Amarim-Tanya, pp. 820-894. Brooklyn: Kehot. Scholem, G. (1961/1941). Major Trends in Jewish Mysticism. New York: Schocken. Originally published 1941. Scholem, G. (1960). Jewish Gnosticism, Merkabeh mysticism and Talmudic tradition. New York: Schocken. Scholem, G. (1973). Sabbatai Sevi: The Mystical Messiah Princeton, NJ: Princeton University Press. Scholem, G. (1974). Kabballah. Jerusalem: Keter. Scholem, G. (1987/1962). Origins of the Kabbalah. (R. J. Zwi Werblowski Trans Princeton NJ: Princeton University Press, 1987. Originally published in 1962. Segal. R. A. (1992). The Gnostic Jung. Princeton: Princeton University Press. Sperling H. & Simon, M. (1931-34). The Zohar. London: Soncino Press. Suler, B. (1972). Alchemy, Encyclopedia Judaica, Vol. 2., p. 546. Jerusalem: Keter. Tishby I., & Lachower, F. (1989). The wisdom of the Zohar: An Anthology of Texts, I, II, & III. Arranged and rendered into Hebrew. English translation by David Goldstein. Oxford, UK: Oxford University Press. Wilson, R. M. (1974) Jewish "Gnosis" and Gnostic Origins: A Survey, Hebrew Union College Annual, 45 , 179-189.